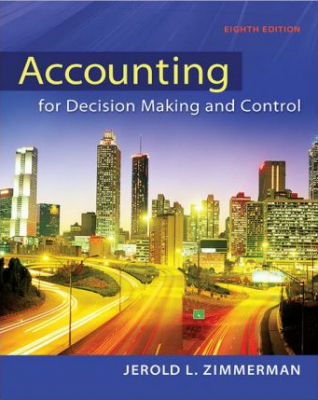 Accounting For Decision Making And Control - ubiq bookshop: the best place to buy books! Accounting for Decision Making and Control provides students and managers with an understanding appreciation of the strengths and limitations of an organisation's accounting system, thereby allowing them to be more intelligent users of these systems. The Eighth Edition demonstrates that managerial accounting is an integral part of the firm's organisational architecture, not just an isolated set of computational topics. Managers in all organisations, throughout their professional careers, interact with their accounting systems as it is both a source of information for decision making and part of the organisation's control mechanisms.